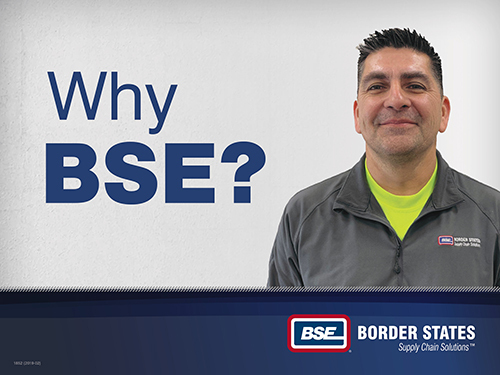 For years, Edward Flores listened to his friends talk about why Border States is a great place to work. The strong employee stock ownership plan (ESOP), 401(K) option and amazing health benefits were among the many reasons that came up. However, one stood out: Border States is a company that puts family first by fostering a culture of care and offering generous amounts of personal leave. A husband of 19 years and father of six, Flores is a man who appreciates family above all else. He decided to see if there were any open positions at our branch in Abilene, TX, one of more than 100 company locations across 22 states. One of the first things you’ll notice about Flores is his positivity and tenacity; nothing seems to get him down and giving up just isn’t an option. It’s a vibe that especially shines through when he serves as a part-time pastor on the weekends. While there weren’t any open positions available when he first approached Border States, Flores remained interested in the electrical distribution industry, so he kept his chin up and went to work for a different supply chain distributor nearby. Unfortunately, it wasn’t the experience he was hoping for. But Flores hung tough, and when a position opened up for a Border States Warehouse Associate, he took a leap of faith. Seven months later, he’s proud to be a member of our employee-owner family. On this particular day, Flores is rounding out a busy week, but it’s all good because he enjoys being part of a supportive group when things get hectic. Flores enjoys contributing to organization efforts in the warehouse. 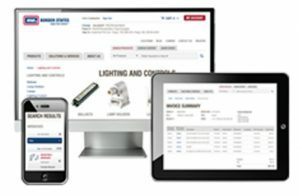 Large amounts of inventory are easily tracked with digital hand-held devices, which has proven especially helpful as he and his co-workers have been working to replace and restock old inventory. Flores’ favorite part of the job is being part of a positive, hardworking team. He especially looks forward to the fun office holiday parties, as well as the cook-outs he and his fellow employee-owners take turns hosting throughout the year. Flores is thankful to have found a career at Border States. Being alongside other employee-owners who are laid back, supportive and excited to come to work means everything.